American Skin Association (ASA) celebrated its 25th anniversary at a gala event honoring leading physicians and scientists who have made groundbreaking discoveries and unique contributions to the field of dermatology and the treatment of skin cancer, as well as other devastating skin disorders. American Skin Association honored ASA Chairman Howard P. Milstein; Valeant Pharmaceuticals International, Inc., Chairman and CEO J. Michael Pearson; Galderma President and CEO Humberto C. Antunes; and New York Jets Defensive Line Coach Karl Dunbar. Also honored were Jean Bolognia, MD, Professor of Dermatology at Yale University School of Medicine; Elaine Fuchs, PhD, Rebecca Lancefield Professor in Mammalian Cell Biology and Development at The Rockefeller University; and Paul Khavari, MD, PhD, Professor of Dermatology and Chair of Department of Dermatology at Stanford University School of Medicine. In addition to raising funds for cutting-edge skin disease research, ASA’s Spring Gala helps to underwrite educational outreach programs for students, addressing the leading preventable causes of melanoma, enabling people to be healthier, live longer, and be more productive. 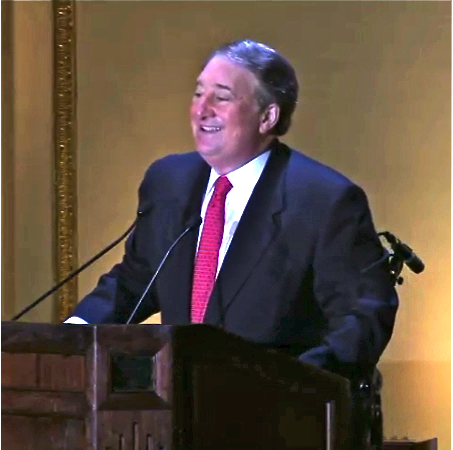 ASA Chairman Howard Milstein, who is also Chairman and CEO of New York Private Bank & Trust, was presented with the Visionary Leadership Award by ASA’s Board of Directors. 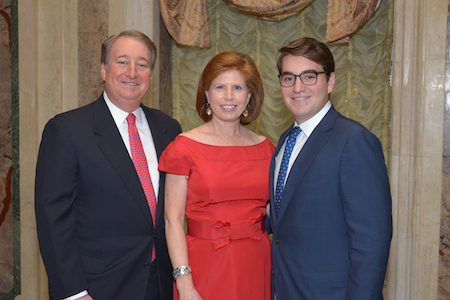 Mr. Milstein has brought remarkable growth to the organization, increased its assets and sharpened its focus on cancer and melanoma. As such, he is in the vanguard of those who are working to combat the deadly effects of climate change on the skin. 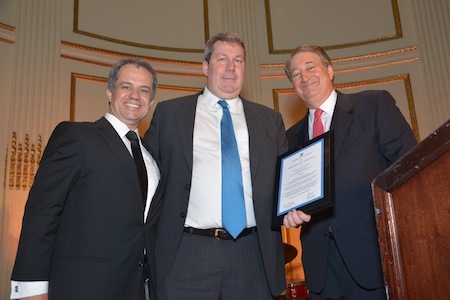 At the American Skin Association’s 2013 Spring Gala, Humberto Antunes (l.); J. Michael Pearson, Chairman of the Board and CEO of Valeant Pharmaceuticals International, Inc., and recipient of the Association’s Corporate Leadership Award (ctr. ); and Howard Milstein (r.). ASA was founded in 1987 by The Rockefeller University’s David Martin Carter, MD, PhD; Herzog Foundation President Peter Bentley; and George W. Hambrick, Jr., MD, to represent the interests of skin disease victims and their families. During the past 25 years, ASA’s mission has remained to advance research, champion skin health — particularly among children — and drive public awareness about skin disease. ASA’s education program provides free instruction in skin health and sun safety to more than 12 million young people, teachers, and parents across the United States. Howard, Abby, and Michael Milstein at the American Skin Association 2013 Spring gala.